Are you building a personal brand but struggling to know where to start? Do you crave to create buzz around your online presence? Build your authority and implement a strategy that builds momentum? This can happen for you! If you have expertise in a specific area, building a personal brand will make you stand out from the rest. 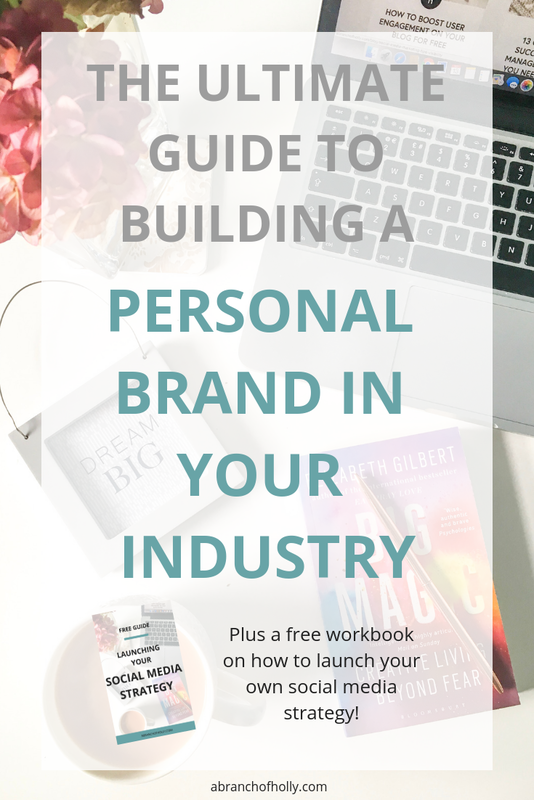 Read on to learn the steps you need to take to develop your personal brand and don’t miss out on the free workbook which will teach you a 4-step process to get your brand out there on social media. So we’re going to start with code. Which is odd since I usually preach that there’s no one way to do things or no one secret strategy. So what does it mean? I’m afraid it doesn’t unlock the secret. But knowing your inner code is a hugely important aspect of building a personal brand. Let me explain. Your inner code is how you live your life, consciously or subconsciously. It’s what drives you to do everything you do. It’s the one thing that is always there. It’s a constant in your life and for your online presence, because it helps you CRUSH any outside forces that are going to impact you negatively. Your inner code is what keeps you on track. It’s your moral compass. And it’s also your commitment to yourself. As you grow, it grows with you. It builds you in your best self. Your inner code helps you set the goals you want to achieve, defines your own version of success and intentionally nurtures your mindset. But sometimes our inner code doesn’t align with our actions or words. So what happens then? Saying yes when you know you should say no...and no when you want to say yes. Telling yourself you’ll get up at 5:30am then hitting the snooze button a million times. Saying you’re going to exercise 4 times a week and only doing it once. Planning to write two blog posts a week and barely getting one out per month. Telling someone you’ll get an email over to them on Tuesday but you don’t start thinking about it until Wednesday. If you live out of alignment with your code, it will cause tension in your life and online presence. And it’s not just you that feels this tension - your followers feel it too. If you want to build a strong personal brand, trust has to be the defining element of everything you do. The best way to do this is to be firm in what you believe in and share your values as you are. It’s when you do the opposite of that, when you say or do something you don’t believe in, where the conflict appears. Your beliefs drive your values, whether you like it or not. How you see the world is how you communicate your values. These are the internal beliefs you have that dictate your life and create a strong foundation for your online presence. Looking at it that way, sharing what you value the most shouldn’t be too difficult, right? Let me put it into context for you. Maybe you value reliability in your life. For building your online presence, that means you’d value a commitment of always following through with what you say you’re going to do. If you haven’t defined your core values yet, don’t worry. It doesn’t have to be complicated. In fact, it should be easy because you’ve lived with them your whole life. I’ve listed a few examples below to get your mind ticking and there’s a list of 500 ideas here. Once you’ve had some thinking time and reflected on that list, write down the three that speak to you the most. When you’ve chosen your three, you want to weave them into the core of your brand. They’ll be felt in every single piece of content you put out there, from blog posts to tweets and Instagram captions. Have you ever read a post or watched a video and felt like it was made for you? It’s like they reached through your screen, came and sat next to you and provided the exact solution to a problem you’re struggling with. That’s what knowing your audience does for your online presence. It brings life into all of your content. It allows you to empathise with people in a much deeper way than just being relatable. Stop talking and start showing. Actions speak louder than words. Your actions say to your audience that you know exactly what they’re struggling with because you’ve been there, done that, bought the t-shirt and now you can share a solution that works. So if you’ve been feeling like you’re speaking to no one, if you’re wondering why no one is listening, responding or buying from you, think about what I just shared. Because that is your answer. Stop worrying about what you need to make better, whether that’s your content, what you’re posting or the amount of content you’re sharing. None of it matters, especially if you’re forgetting one simple thing: speaking your audience’s language in a real way. Whatever you’ve read or heard about defining your target market, creating a client avatar or any other marketing spiel, it doesn’t matter if you don’t have any clarity about who they are. What are they struggling with? What to they want to do, solve, fix or get more out of? Why should they care about you and what you have to offer? For instance, my ideal client is a passionate blogger or business owner at any stage of their journey with their online presence. But they're stuck because they're struggling to grow past a certain point and they also crave more organisation in their life. They want to build a successful online presence and they want to have the time to do everything without making too many sacrifices. They believe in hard work and determination, transparency and honesty, passion, connection and sustainable growth. As I write my content, I speak to this person every single day, through my emails, social posts, blog posts, everything. Don’t you think that feels more authentic? It’s like I’m sitting down and talking with a friend, not a stranger. Get what I mean? Take the time to get to know your one person and speak to them in everything you do. When we talk about building a personal brand, we also need to mention your overall style. This is something that will flow from your website, to social media, and more. The reason why this is important is because it makes you instantly recognisable and sets you apart from the competition. If you haven’t taken time to work on your brand style, here are a few points to work through. Your style encompasses everything that makes up your brand. This is where you are able to express your personality and define your style within your industry. Whether you’re happy, melancholy or serious - let that come across in your brand style. You can also show your style through the consistent use of your logos, brand name, core visual elements, advertisements, presentations and more. It’s basically all the elements that define your personal brand mixed together into a likeable, shareable brand that your community wants to come back to again and again. Your brand identity is a highly important element and should never be compromised. Why? Think about what damage inconsistency has on your online presence. For instance, if your logo is one colour, yet you use a completely different style in your blog post images, your audience is going to have a hard time understanding who you are, what you do and how you can help them. Once you sit down and put all of these details into a brand style guide document, it means everything is streamlined. Your message is what determines how you write all of your online copy. I promise you, this is such a HUGE thing so please take this on board if not anything else. The way you can get started with this is by answering that all important question, “what do you do?” Instead of muttering something under your breath, put together a brand statement that quickly and effectively describes your brand. E.g. engaged couples looking to share their wedding planning journey online. E.g. because I planned a wedding when wedding websites weren’t available and it was so hard to let people know about all the details. I want to help make it simpler for others. E.g. beautifully designed modern websites to share your wedding plans with your friends and family. E.g. we want to empower all engaged couples rather than just focusing on the bride and we’re also able to offer bespoke designs. Set aside 30 minutes and work through this task. Choose a time when you do your best thinking. This is where building your personal brand really starts to come to life. What you’ll end up is something similar to an elevator pitch. So when someone asks you “what do you do?”, you have a short, expressive way to share details about your personal brand. And that sounds SO much better than just saying “I’m a beauty blogger…”. That makes is difficult for someone to understand who your target audience is and why you’re amazing at what you do. As you put yours together, think creatively and honestly. What can you truly offer to people? In order to gain attention, you must be recognisable. Your colours (primary and secondary), help you create a permanent mark in the mind of your audience. If you’re struggling to choose your brand colours I recommend using a tool like Colordot. To maximum the results of your personal brand and increase your visibility, you need to create an online marketing strategy that includes different elements. Some of these will include using online tools to build buzz, gain momentum and help you become a thought leader in your industry. One of the biggest things you need to do as part of your strategy is create a website and that website needs an About page. By including this in your marketing mix, you’re letting your target audience know what’s going on with your brand. Plus the more pages you have, the more opportunities you’re creating to be discovered in search results. You could also include any press information, like your media kit and any media coverage. If you’re not sure, think about who you want to see your page. Because your About page needs to speak to your ideal reader. So write with them in mind. Make sure you optimise the pages on your website for SEO too. This is an extra chance for you to be found in Google search so use keywords based on your industry. The best place to put your About page is in your top-level navigation bard on your website. You want it to be in a logical place that’s easy to find. You could also decide to call it “About” or something else like, “Bio” or “Meet Me”. Launching a social media strategy for building your brand can feel overwhelming. And it can make you feel lost if you don’t have a plan in place. That’s why for this step, I’ve created an extra resource to help you. It’s a workbook that walks you through a four-step process I use to build my own social media strategy. With this process, you can launch a social media strategy to build your brand without feeling worried or overwhelmed. It’ll also help you stay proactive in your approach, meaning you can easily keep up with social media and grow your personal brand in a sustainable way. Get the process by entering your details below. When you’re starting from scratch, a hashtag strategy is going to be a real breakthrough opportunity for you. You need to use them smartly and be aware that it can take a decent amount of time to see results from this. Because while hashtags can be a great tool for building your brand and helping you reach your audience, not every hashtag will get you results. You need to be strategic. The reason I suggest both is because trending hashtags will help you reach a large audience and the targeted ones will help you connect with people who are interested in what you have to offer. For instance, #digitalmarketing is broad and while it might be a popular hashtag, you could also get lost in a sea of content. A more specific hashtag like #seotips can put you in front of people who are looking for SEO tips. Another tip if you run a local business is to include location-specific hashtags. This can be a great way to increase your reach. A tool I love is Hashtagify. It shows you additional hashtags that are relevant to your search based on usage and popularity. You can also search for hashtags directly on Instagram. When you’re done with research, you can start using hashtags directly in your social media posts. Just remember to use only the ones that best align with your brand. If you use trending hashtags that don’t have anything to do with what you create, you’ll attract and audience you don’t want. It might increase your visibility, but you won’t make any conversions. So, are you ready to dig into building your personal brand? Don’t forget to download the 4-step process to get your social media strategy up and running!